– upon previous arrangement (also in foreign languages – check for availability). We can confirm guide in foreign language one week before group arrival. Please consider possibility of translation from polish language by the pilot of the group. 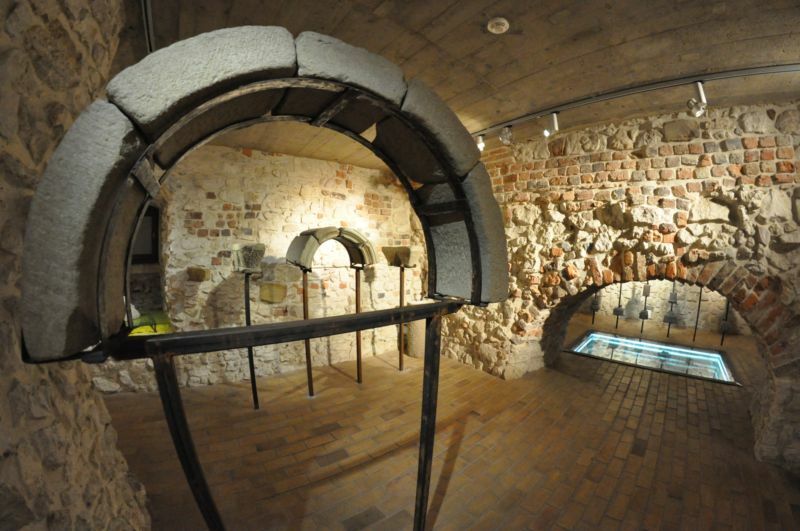 Groups 10-50 Pax, on requests: the fee of 75 PLN for the guide will be charged additionally to the entrance fee. 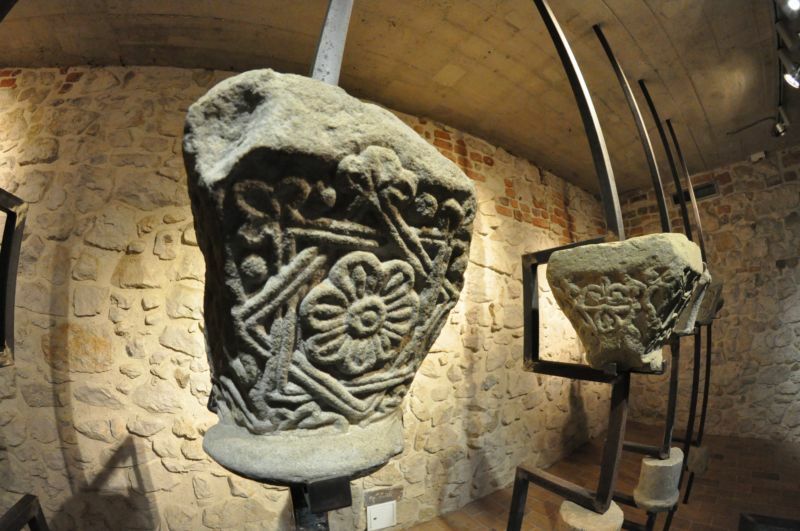 The underground chambers hold a permanent exhibition of Romanesque architectural details (column capitals, shafts and bases; fragments of 13th-century floor tiles from the church) and a copy of the chalice-and-paten set found in one of the earliest abbots’ graves. 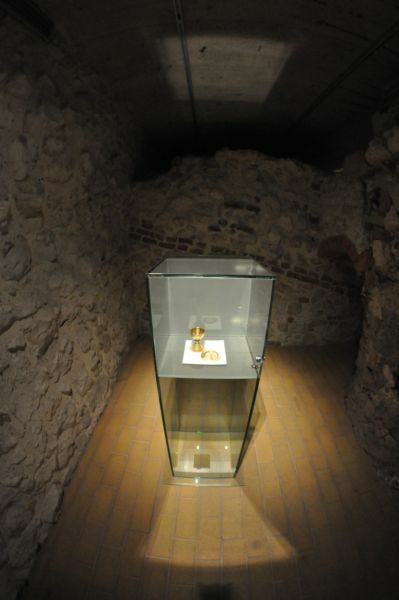 Other objects on display include remnants of prehistoric settlements (everyday artifacts, tools, vessels) and medieval ceramic ware – found on and around the monastery hill. 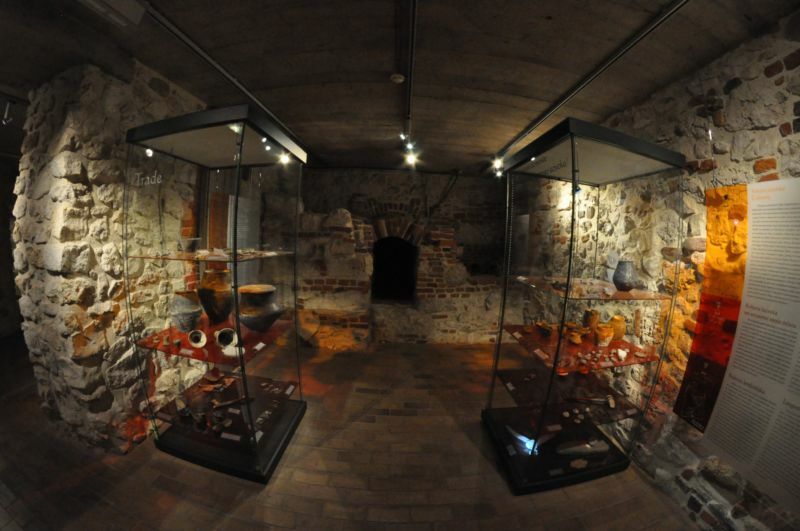 The position of the exhibits in the showcases reflects that of the excavation layers: the oldest finds are placed on the lowest shelves, and the newer discoveries successively on higher shelves. Benedictines. The unity of Europe. An interactive presentation about the history of monasticism, Benedictine monasteries in Europe, Poland, and of course about Tyniec. A DAY IN THE LIFE OF A MONK – a film about the everyday life of the Tyniec monks and various editions of the Rule of St Benedict, the set of precepts which – despite the passing centuries – continues to determine and shape the rhythm of the lives led by the contemporary monks at Tyniec. How many books do you have at home? Are there more than ten? If yes, you would be very rich in the Middle Ages. The value of one manuscript sometimes reached the equivalent of two to three villages. What made books so valuable? Was the work carried out in scriptoria really so arduous? 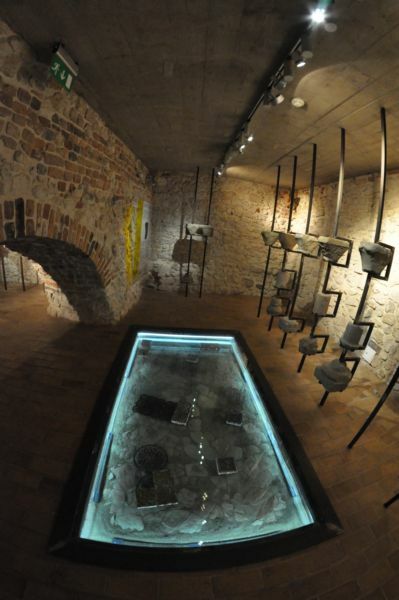 We invite you to visit the Tyniec Abbey Museum and see the temporary exhibition entitled “In the monastic scriptorium,” where you will be able to learn the secrets of a medieval scribes’ and illuminators’ work and see manuscripts that are usually hidden in the libraries of various monasteries. For long ages, monastic scriptoria carried out true “Benedictine work”, which demanded much patience and precision from the scribes. On the one hand the work was ennobling, since it required highly regarded skills and left a lasting mark. Therefore, it was recommended that the monks who would become scribes should be humble. On the other hand the work was hard and complained about, sometimes even on the margins of the copied works – as in preserved famous words: Only three fingers write, but the whole body suffers. 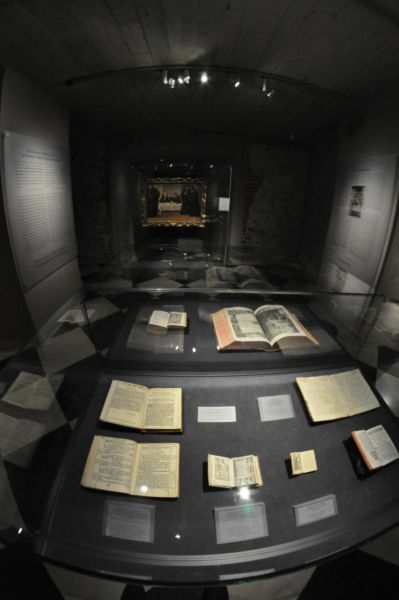 Among the complicated fortunes of Europe, among wars and conflagrations, monastic libraries turned out to be the most faithful depositories of knowledge and preserved books until the times when the invention of printing, and then further technologies, allowed for unlimited copying of texts. And today, when we have such easy and inexpensive access to the written word, are we still able to appreciate the work of medieval scribes and the heritage they passed on to us?